shirts for my kids to wear to Thanksgiving dinner with the family. 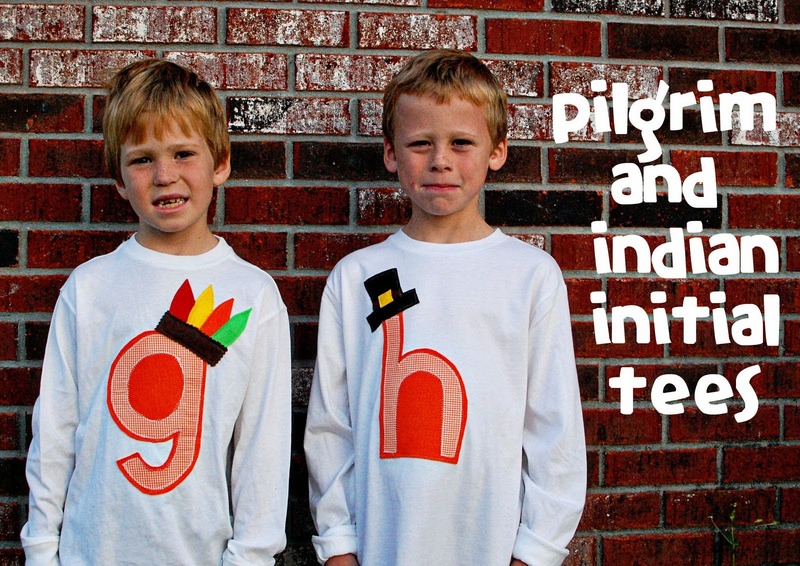 and they have been some of my favorite DIY holiday shirts I've made. 2 years worth of wear out of them. 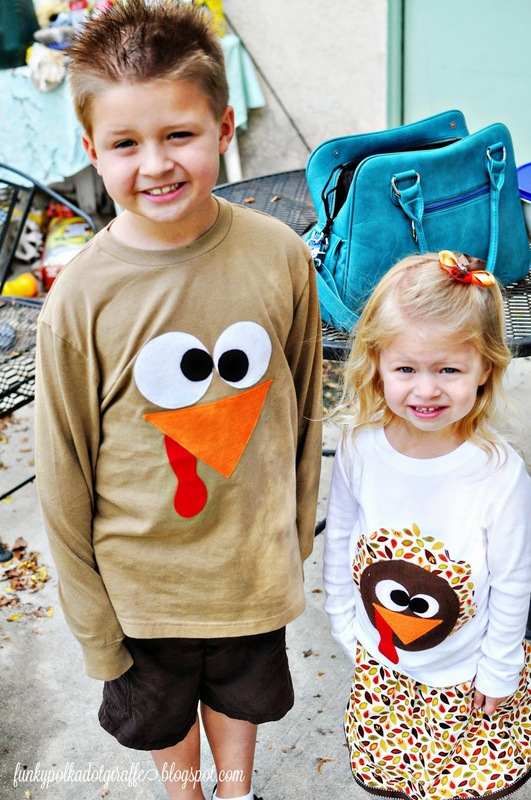 so it's time to round up some ideas for new turkey shirts for Thanksgiving 2014! 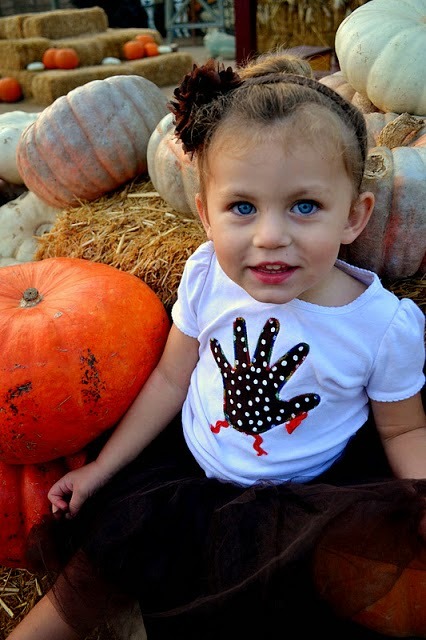 Our first turkey shirts were made using the kids' hand prints and googly eyes! They were so fun, and even my oldest nephew wished I had made him one. 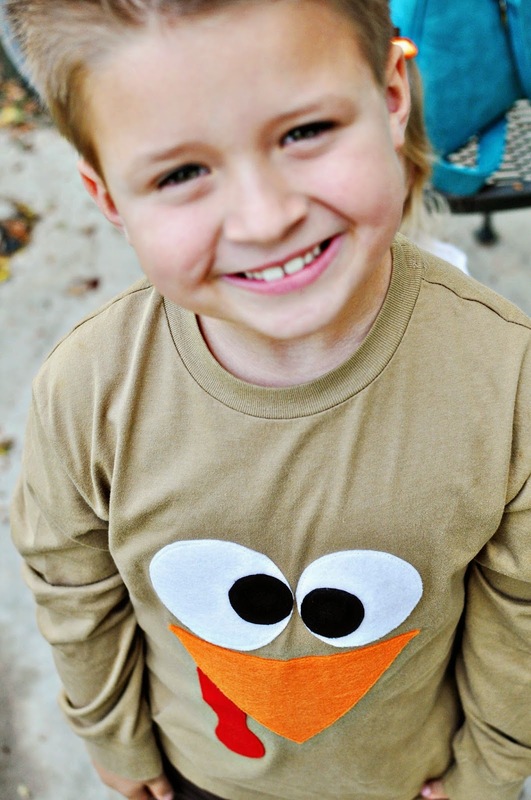 Then we had the giant cute eyed turkey face shirts. 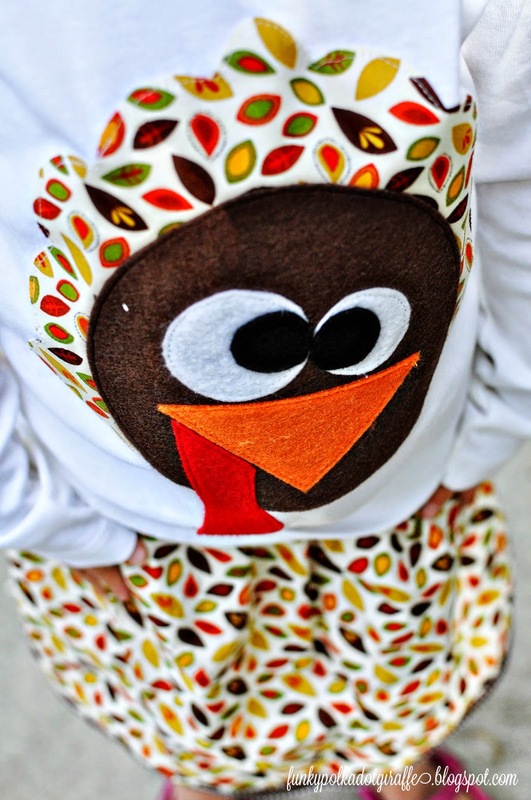 I even made Isabella a matching skirt to go with her turkey shirt. 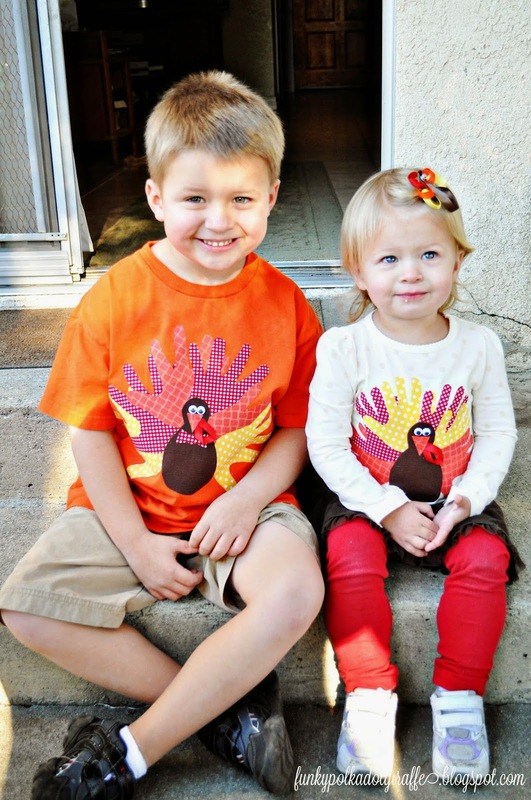 and we were golden with turkey shirts for another year. and I've got a few ideas to work with. then you should check out these great ideas!